A rustic sign in front of San Miguel’s Chapel states “the oldest church structure in America”. But is it? 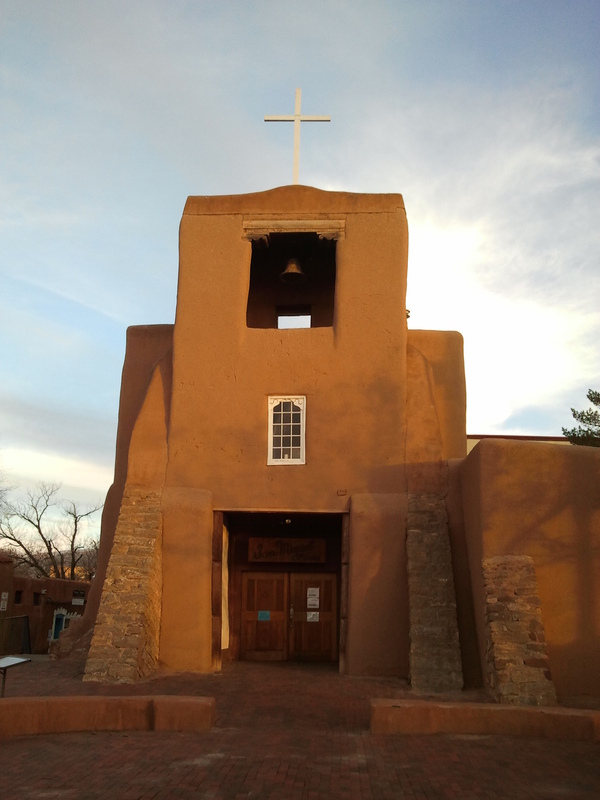 This adobe church was originally built in Santa Fe in 1610, by Tlaxcalan Indians and Catholic Padres. Santa Fe, New Mexico became part of the United States in 1848, after the Mexican-American War. Prior to 1610 there were buildings used for religious purposes. Taos Pueblo built between 1000 and 1450, contains kivas used for religious purposes and has been continuously inhabited up to the present. Acoma Pueblo was built between 1000 and 1200 and also contains kivas. Despite the Spaniards attempt to destroy the Pueblo and all of its people in 1598, there are still Acoma Indians living there in a traditional manner. Thousands of tourists visit this “SkyCity” near Albuquerque, New Mexico every year. Whenever Americans research the history of their country, they must remember all of the people who lived within its boundaries and continue to worship sacred sites.